Posted March 5, 2019 at 9:21 am . 1 comment. Our street prices on the EOS R and EOS RP already come with a free basic adapter, from authorized Canon dealers with a 1-year Canon USA warranty. Shipping is free, and no tax is collected when shipping to most states. The EOS RP also comes with an additional free item (inquire for details). You can now add (or upgrade to) the control ring adapter with your order via street price for a good discount — less than the full retail price of buying the adapter separately ($199). Please inquire for the full details. Posted February 27, 2019 at 1:29 pm . 0 comments. We now have several options for the EOS RP in-stock via our street price program. The items from Canon authorized dealers with a 1-year Canon USA warranty. These preorder packages come with a free EF-EOS R mount adapter and other free items (depending on package). Please inquire for the full details. A limited quantity is available to ship starting today. The camera is also showing availability at many stores, including Adorama, Amazon, B&H, Canon Direct, and Profeel via eBay. Posted February 25, 2019 at 10:49 pm . 0 comments. We now have additional pre-order options for the EOS RP via our street price program. The items from Canon authorized dealers with a 1-year Canon USA warranty. These preorder packages come with a free EF-EOS R mount adapter and other free items (depending on package). Please inquire for the full details. Items are scheduled to ship starting Wednesday. Posted February 24, 2019 at 9:27 pm . 0 comments. The Canon EOS RP continues to be very popular — Canon has hit an excellent price point for this body at $1299. The following dealers are carrying the pre-order special of a free EF-EOS R mount adapter and an EG-E1 extension grip and are expected to start shipping on Wednesday. Adorama is the best pre-order option with free overnight shipping. We also now have a street price preorder special for the camera, from an authorized Canon dealer with a 1-year Canon USA warranty. This preorder package comes instead with a free EF-EOS R mount adapter and a Canon LP-E17 battery. Please inquire for the full details. 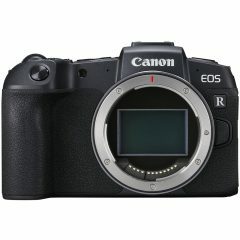 Still not decided between the EOS R ($2169 street price) or EOS RP? Check out our comparison article.